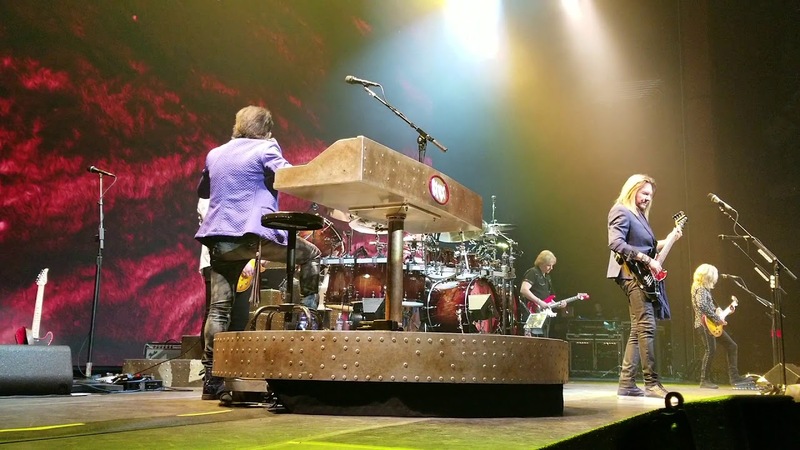 Styx continues to expand its busy 2019 touring schedule. The veteran Chicago prog-rockers have added a new U.S. date, scheduled for June 21 in Richmond, Virginia, at Virginia Credit Union Live! at Richmond Raceway. The “Babe” hitmakers unveiled the new show on Feb. 11 via Twitter on the heels of launching their 2019 winter tour of North America on Jan. 11 in Phoenix. The multi-platinum sellers continue to tour in support of their highly successful 2017 comeback album The Mission. Select presales for the show will begin on Wednesday, Feb. 13 at 10 a.m. local time. Tickets go on sale the general public starting Friday, Feb. 15 at 10 a.m. local time. Grab your Styx tickets right here at AXS. Styx recently performed its concept album The Mission in its entirety live for the first time in front of fans on Jan. 20 in Las Vegas. The critically acclaimed release features 14 tracks and is available here in CD, digital, vinyl and streaming formats. Fans can check out a live performance of the track “Time May Bend” from the Sin City show above. Styx recently announced a spring tour with Larry The Cable Guy, which will launch March 21 in Fargo, ND, at Scheels Arena and wrap up March 30 in Champaign, IL, at State Farm Center. Fans in the U.S. can catch the band at their next tour stop, which will take place on Feb. 12 in Joliet, IL, at Rialto Square Theatre. For all the latest details on Styx, click here.